services for Criminal and Administrative Investigations. Law Enforcement and Criminal Justice agencies throughout the country have proven that using our Web-based transcription solution reduces their transcription backlog while saving them a significant amount of time, money and department resources. For all of your transcription needs, or just your overflow, Net Transcripts can provide your department with the ability to free up and utilize your department’s staff for more productive activities, and do so at a substantially lower cost than having these service performed in-house. This is especially true when considering employee benefits and overhead costs. Our service is as easy to use as the click of a mouse, with no investment or up-front costs of any kind, and no minimum usage requirements or service commitments. 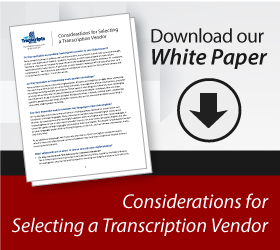 While searching for the right transcription service provider, you will encounter a plethora of options, service levels and prices. The focus of many vendors is the medical, corporate or academic transcription fields, with Law Enforcement only as an afterthought. Further, many such vendors are high volume, low quality dot.com investor/social media type transcription operations that lack the appropriate technology, personnel, and procedural protocols necessary to address the more sophisticated security and confidentiality needs unique to Law Enforcement. 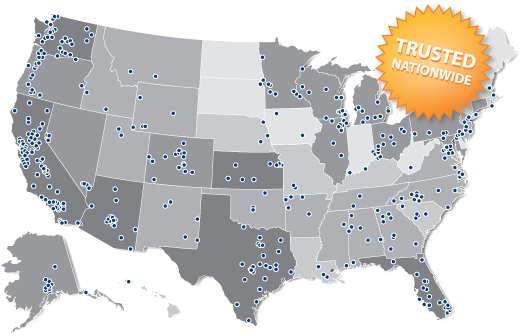 Net Transcripts provides Web-based Transcription Services to hundreds of Law Enforcement and Criminal Justice agencies across the nation. No one processes more Law Enforcement and Legal transcription nationwide than Net Transcripts. In fact, it’s all that we do. Our personnel are highly skilled in the language, nuances and procedures necessary for fast, accurate and secure Law Enforcement and Criminal Justice transcription. Our proprietary and encrypted Web-based Order Center allows for the safe transfer of your audio files to us for transcription and for the safe return of your completed transcripts, making our service much more secure than allowing your recorded media to be physically transferred to another location for processing. With Net Transcripts, there is no need to make a copy and then have it picked-up or delivered, all of which adds to the risk of loss, damage or interception. All transcripts are processed domestically, not offshore, by our highly skilled transcriptionists; all of whom undergo extensive criminal background checks and are bound by a comprehensive Confidentiality Agreement. Everyone at Net Transcripts understands security, chain of custody and confidentiality. Securely send recordings from any desktop or mobile device. FEDRAMP, CJIS and FIPS-200 compliant encrypted file transfer. Microsoft Azure Government Cloud hosting guarantees up time. Chain-of-Custody ensured through unique user account authentication. Tiered administrator rights to manage authorized users and account activity. Transcripts are processed by thoroughly vetted, US-based transcribers. Receive transcription services at substantially reduced cost -- without any upfront fees, subscriptions or minimum usage requirements. Net Transcripts produces proven and significant savings. Eliminate all late or backlogged transcription. Experience investigative efficiencies and improved case closure rates. Relieve officers and staff for other duties. Receive flexible and unlimited transcription capacity -- never be over, or under staffed again. Eliminate the need to replace transcription staff that quit, retire or are reassigned to other duties. Experience all the advantages of an in-house transcription department without the fixed employee costs and employment related expenses. Our goal is not to eliminate staff, but to save your agency money and personnel resources. Net Transcripts is a scalable operation, and is available to handle your current or changing transcription needs as the opportunity arises.